There are times when I wish that I could gently take my heart and detach her from my sleeve. Just for a moment, or two. A short lapse in time where we could breathe and feel nothing, instead of everything. The only sound would be the faint beat of my heart emanating from her safe hiding place. Detaching my heart from my sleeve would be like dismantling a car and putting it back together without the engine. After many years of believing I was too sensitive and emotional, I’ve finally realized that exposing those parts of myself are some of my greatest gifts. Sometimes, it’s messy. Sometimes, it’s beautiful. Sometimes, it’s messily beautiful. She is my closest companion and best navigator (even when it doesn’t make sense). She whispers to me when I am tired of the loud ego voices that speak harshly and persuasively with the goal of shaming me off my path. She is my greatest cheerleader when I am so completely in love, that my heightened state makes her work harder and beat faster. (And, she keeps beating even when she is broken because she knows I’m broken too). My heart allows me to look into the eyes of strangers and see them for who they really are. I see the flickers of excitement, passion and pain that tells the stories of their lives. The raw pieces that are often tucked away in the corners. My heart teaches me to listen by opening up a choir of nuances and unspoken words that lead to a deeper song of connection and understanding. Hearing this song relieves the pressure of always having to find the perfect things to say in situations where words are really not enough. My heart teaches me how to feel, by creating space to reveal my scars, bruises and insecurities. She encourages me to be vulnerable, raw and human. 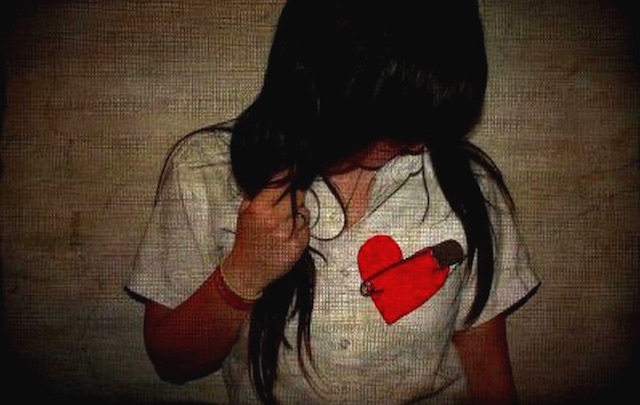 So, I can’t detach my heart from my sleeve because then I would be detaching my teacher from her student. My superhero from her alternate identity. My spirit from my body. Perhaps, in the moments when we need to be less visible, when we need to breathe, I can just wear an extra sweater. This is really beautiful. I'm very sensitive and emmotional too, and for years I hated it – I just felt too much. But now I kinda love it. My heart is my greatest treasure. 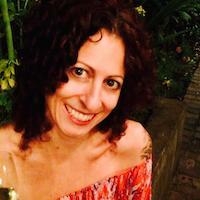 Brandie Smith is an INpowerment Coach, writer, teacher, energy healer, and graceful warrior. Her work with clients centers around cultivating and nurturing each individual’s unique gifts and passions to create a brilliant and meaningful life. She feels in her power when she’s creating something, anything, really…relationships, music, change, poetry, art, conversations and laughter. She loves dancing in the mystery, living on the edge, making her own rules and finding beauty in all moments. Some of her favorite things are dark chocolate, red wine, burying her toes in the sand while listening to the waves, playing with her shadow self, finding herself in dark techno music and whiskey. Brandie is currently learning, expanding and growing as an apprentice with elephant journal and Seattle Life Coach Training. You can connect with her on Facebook.